In general, things like this are the best part about running the site (…or in my case, watching the site as it collects dust. Sorry about that. I will post something here again, I promise, I just have no idea when). The random e-mails from strangers who love the site or link here are always fun. Sadly, my spam filter is a bit over-excited, but I hope I haven’t missed too many of them. Keep them coming, and if you decide to write something about trains in games yourself, send me a link and I’ll post it! And so far, I kind of ignored it. But that is really not okay of me. I thought it doesn’t affect me, but really, it does. After all, on an abstract level, she does the same thing as me: Look at things that are wrong in video games and point them out. The main difference is that she does it better, she does it about things that matter, and she is a woman. No, there is no logical reason why the last one matters, except that people who disagree with Sarkeesian doing this analysis are basically by definition misogynist men. Now, if these attributes applied to me, I’d probably get the same reaction, so arguing that it doesn’t affect me is just a plain lie. After all, if pointing out flaws in games is acceptable (and I think it is) then surely this must include comments from everyone on every topic, not just me on irrelevant things. Another reason for me not writing about this is the idea that it doesn’t matter. This is a very unknown website made by a completely unknown guy, neither of which looks like it might change anytime soon. What does it matter what I write? This is almost certainly true, but then, it applies to everything I post here. At the end of the day, I either buy into the delusion that I have something to say or I don’t. The dividing line shouldn’t be whether the topic is fun or not. So let me make this clear: Sexist portrayal of women in games is a problem. Harassment of those who point it out, or of women who work in games or games journalism, is not okay. I wish this were really as self-evident as it feels while typing this, but apparently many hateful people disagree. We cannot tolerate their behavior any more, even if it is just by staying silent while they wreak havoc. What is not a problem is women playing games and/or pointing out what’s wrong with that. More people playing games means more games, and more people criticizing games means better games. Video games have never been a male-only domain. And don’t get me started on anything with “political correctness”. This isn’t about pleasing some politicians. The point is to not insult people unless they actually deserve it. That is not the end of having mindless fun with games; it is actually the start of it. A lot of people reply (on sites that have comments) by pointing out real or supposed flaws in the “Tropes vs. Women” videos. In general, that is okay; this whole thing needs to be a discussion if we want to get anywhere, and that requires more than one side. The main problem I see with this is the word “but”, as in “These death threats are horrible, but insert (often fictional) problem.” No. These death threats are horrible, period. If you’re really concerned about the quality of the criticism, then go ahead and state the problems, but take your time to do it properly, and do not use it to justify anything that cannot ever be justified. Alternatively, feel free to start your own blog to criticize problems in games the way you want to. It’s easy enough, trust me. After all, that’s why I have this site to begin with. Rob is on Tumblr if you want to read more of his work. In case you are wondering how you can get a guest review published here: I’d be happy to post it, but there is no defined procedure, really. Just send me an e-mail and we’ll see how it goes. 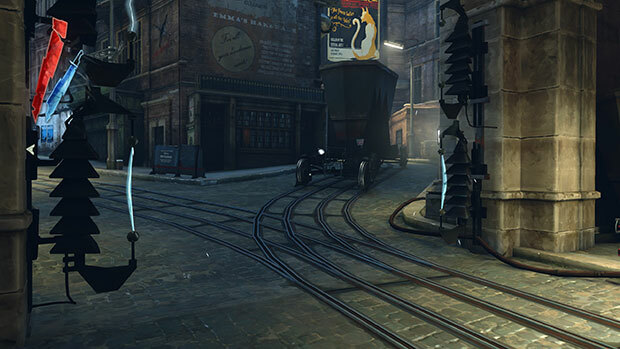 Dishonored is a stealth assassin game set in a city with a completely nonsensical tram system. That review has been up for a few days now, but I forgot writing an entry here about it. 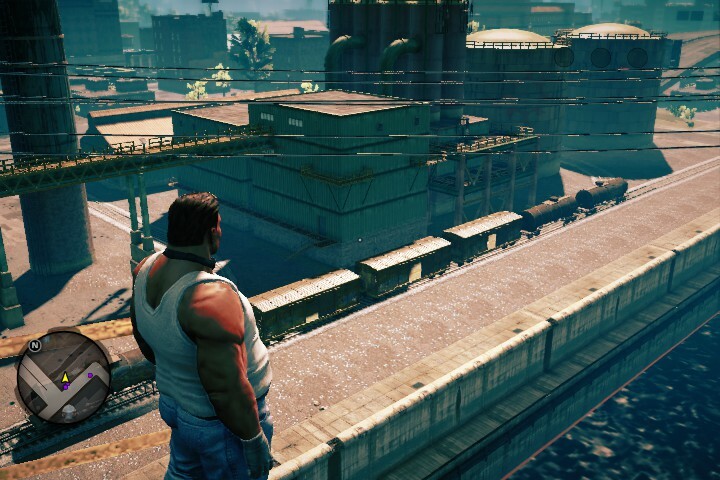 Meanwhile, Bioshock Infinite is a shooter telling a tale of capitalism, oppression, the american dream, alternate universes and suspended dual-track railways. That is probably my longest review yet. In other news, I‘ve disabled the comments. Basically, all of them were spam, and I had no interest in dealing with that. Also gone are the ads, which never produced any revenue at all, and on the backend, I no longer use Google Analytics to track you, since I don‘t like the privacy implications. If you do like being tracked, there are dedicated sharing buttons now, using the Heise two-click approach, which means that Facebook, Twitter and Google+ will only track your visit here if you allow them to. I have no idea when the next update will be; currently, there are no games that really need discussing, but a few where I started reviews and didn‘t finish them yet. As always, I‘m interested in suggestions (ideally with screenshots) or even guest writers! 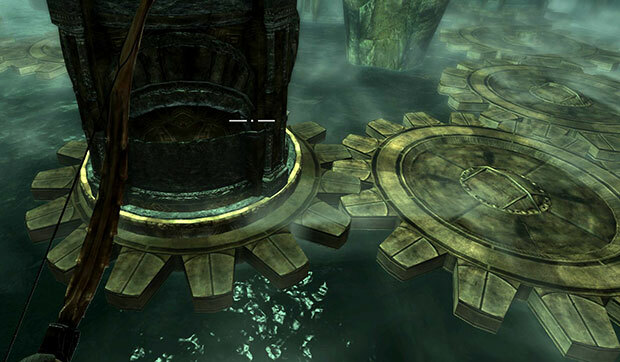 This was taken from Skyrim, specifically the “Dragonborn” extension pack, and if you look closely, you’ll see that the teeth of the two gears are overlapping. Of course, it could be the result of arcane Dwemer magic, but I think I’ll have to go with “they just didn’t care” as the more likely explanation here. If you ever wondered how it’s done properly, the industry standard is an involute gear. Very difficult to make proper 3D models of it (which is why I wrote a little tool to do just that). Watch for more examples of incorrect gears in the upcoming Bioshock Infinite review, where all gears are just as useless!